Our Fort Washington Camping Trip is rapidly approaching and it is time to get a headcount to ensure we have ample supplies for the event. Specifics about the location, directions, and such can be found on the calendar event linked above. The camping trip is from Friday August 21st through Sunday August 23rd at Fort Washington State Park. We will be camping at Site D and the cost of the camping trip is $20 per person which includes all meals for the weekend; Friday Dinner,Saturday Breakfast, Saturday Lunch, Saturday Dinner, Sunday Breakfast and campfire snacks. We need headcounts as soon as possible and payments can be made at the Crew meeting on August 13th. Please let us know your plans as soon as possible by sending an email to the Advisors. 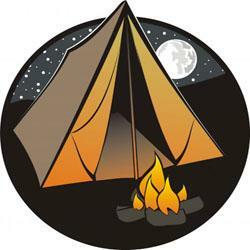 Also include any scout skills or activities you would like to participate in during the camping trip. It is strongly recommended that each family bring a case of water as the site only has latrines and water taps. There is no running water. An 11th item, not on the list, would be a good whistle for signalling. What you have above, is the basics necessary for taking care of yourself outdoors. It is vital to always have the above with your regardless of the activity type you are participating in. Now for our camping trip the following items, in addition to the items above, assist with making your camping trip, in a variety of situations, a bit more enjoyable or comfortable. Extra blanket (optional but could be necessary). Toilet paper (remove tube, crush and put in zip lock bag) this is a must have !! !